Came upon a Smith & Wesson 5943. 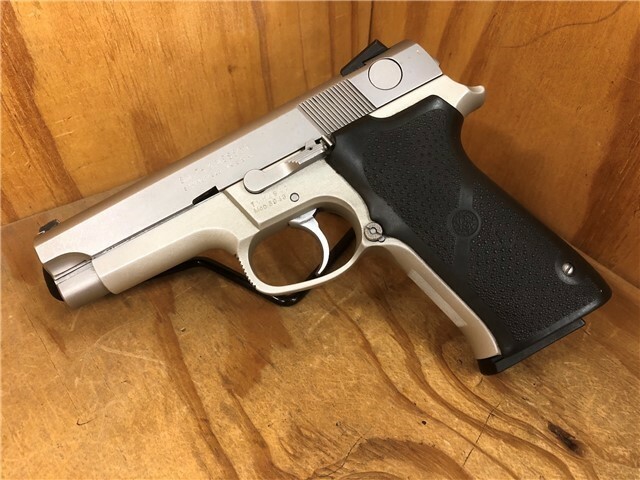 I have never had a DAO 3rd Gen S&W and this seems like a good deal. Can any one tell me anything good, bad or otherwise? I have had both the regular and TSW version. Both very accurate and 100% reliable pistols. The Smith DAO trigger is very consistent, short and smooth but be prepared to practice with it to get proficient. It's very different from other trigger systems and I found that I had to spend alot of time on it to shoot it as well as my other DA/SA pistols. I love gen 3 Smiths but the factory support is waning and so is the supply of mags. I have passed on a lot of gen 3 Smiths lately because of this. I think the 5900 series mags are probably the most plentiful but I had a factory rep tell me that they are really phasing out all gen 3 support to focus on their current M&P line. That being said the 5900 pistols are very robust so who knows whether you will ever need support. If you have a couple mags, and practice time for it, you will likely be very happy with it. Mec-Gar made mags I know a few years back for the 5900 series, probably still does. The 3rd gen auto are pretty bulletproof. Not much breaks. Unfortunately, if it does, you're SOL. 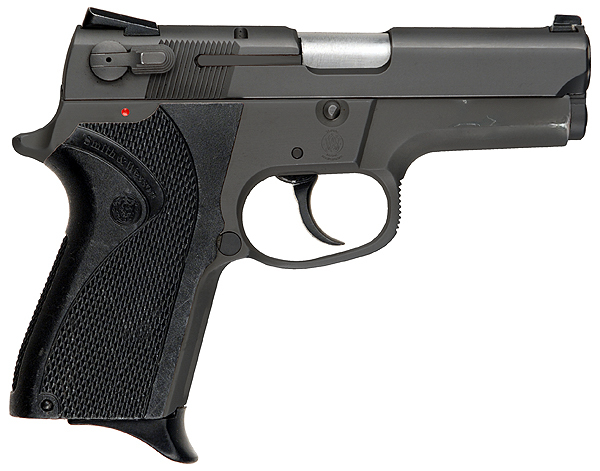 S&W discontinued support for the 3rd Gens in 2014. If your 3rd Gen breaks, your only option is to try to source parts yourself from the secondary market and pay a gunsmith to do the repairs (if needed), or send it to S&W who will then sell you a new M&P at a discount as a replacement. Parts are fairly easy to come by and I have worked on a number of S&W 3rd Gen guns. I also have a 5903 TSW and a good number of mags. Thanks for your information longjohn. The price is really good on it and I think I will pick this up. Don't have it in my possession yet, but here are some pics. From a great era at Smith !! Great pistol . Did it come with the Smith plastic grips as well ?? They always felt great to me especially the one with the curved back strap as opposed to the straight ones in your pic. Those are aftermarket Hogue grips on the OP's pistol/ picture. 3rd Gen SW autos did not have many aftermarket grip choices back then. 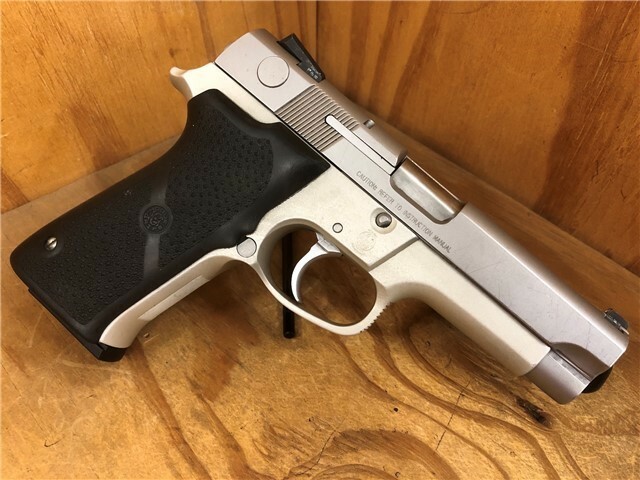 The larger 59xx series could use SW's own curved or straight backstrap grips /plastic, but to my knowledge there were no curved backstrap grips for the 39xx series pistols. I've had a few of them, the DAO's are my favorite. A nice pistol you found. No original grips. But I have a few extras on hand. Comes with one 10 round mag as this is being saved from the Peoples Republic of Kalifornia. I look forward to getting this as I have never owned a DAO 3rd Gen. I almost bought a S&W 4583TSW a number of years ago due to the nice feeling trigger. Four of some of my favorites Law Enforcement Agencies had carried and one still Issue it. I have a S&W 4054. Only 157 made in that configuration. It is my favorite. I still have my old 5903 I carried on the MHP. I'm amused by the "lack of parts" doom and gloom. In almost ten years, as a 5903 Armorer the ONLY pistols I ever saw with REAL issues had been abused by using Surplus Israeli 9mm sub gun ammo. They had cracked frames but still functioned fine. You went from the Smith&Wesson Model 28 357 Magnum Highway Patrolman to the Smith&Wesson 5903 9MM to the Sig Sauer P229 To again the Sig Sauer P229R 357 Sig DA/SA. Yes...and I have all of them. Bought the M-28, the 5903 and my first 229. When I retired the Troops bought my last 229R and gifted it to me. FN in MT, what barrel length on the Model 28? Did the 5903's have any Department marking? I've owned 5943 and 5946, great guns, but can't keep them all when get to my age. No problems ever, estimated about 2K rounds between the two. Also owned 3953 and 39xx that was the double stack black version. Never any problems, but I liked Sigs better and kept them when cutting back. You will not be disappointed. Also owned 3953 and 39xx that was the double stack black version. You are right, it was the 6944. An uncommon gun. NONE of the sidearms from late 70's to present had Agency markings. All the 28's were four inchers. MT Helo has an early MHP revolver WITH "Montana Highway Patrol" in script on the backstrap. Forgive me but I don't recall much about it. May even be a Colt. The Officers Association did the M-66 comm's in 1979. Yet we never carried 66's.